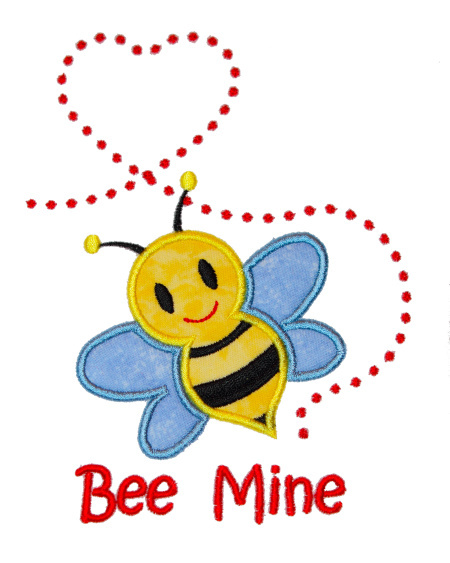 Bee Mine Applique - 3 Sizes! - $4.99 : Fancy Fonts Embroidery, Home of the ORIGINAL Trendy Dots Font! Bee Mine Applique - 3 Sizes! This adorable applique design is perfect for any Valentine's Day project and comes in 3 sizes for the 4x4, 5x7, 6x10 hoops! The perfect touch on clothing or home decor! Another fun and easy applique design from Fancy Fonts Embroidery! Lion Applique - 3 Sizes!